1 Peter follows the typical format for a New Testament letter: author, recipient(s), greetings, body of the letter, close. Peter identifies himself as an apostle of Jesus Christ. The cities named are in a large part of Asia Minor (modern Turkey). This theme of being “aliens who are chosen” runs throughout the letter. When Peter wrote this letter, Nero’s was beginning his persecutions of Christians. In sending Jesus Christ to die for us, God has given us new birth. We were spiritually dead but now we are spiritually alive and therefore we now have a living hope. Hope is a confident eager expectation that something will happen. It is not a wish or desire. Based on the mercy of God and the resurrection of Jesus Christ, we confidently eagerly look forward to an inheritance that is imperishable, undefiled and unfading, and kept secure by the power of God. The trials we face now test the genuineness of our faith; knowing we have genuine saving faith is valuable. 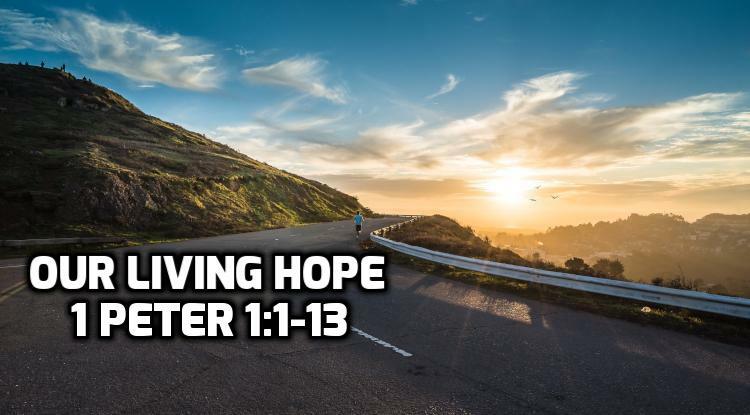 Therefore, Peter says, free your mind from the distractions and desires that would entangle you and focus on the hope that is coming.